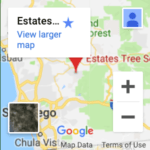 Estates Tree Service has provided San Diego County with the best value in professional tree care services, tree trimming andremoval since 1992. 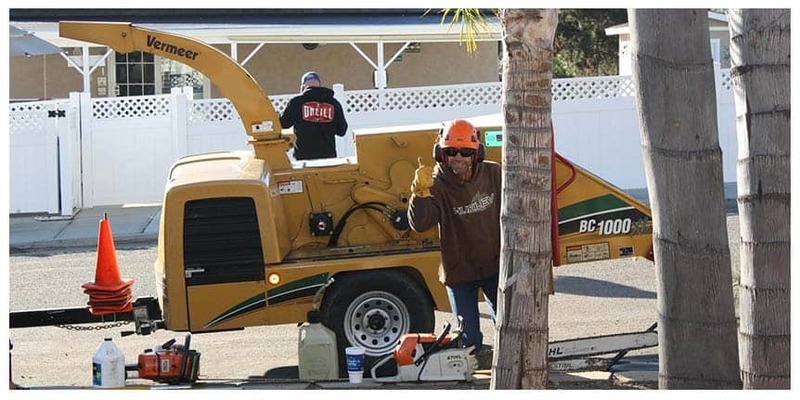 Our expert staff is highly trained in the industries best practices of trimming, pruning, lacing and shaping trees for both residential and commercial clients, our staff is also fully trained in stump removal, stump grinding, palm tree trimming and care, crown raising, crown reduction, brush clearing, and more. We have served thousands of wonderful clients throughout the entire county of San Diego and we have earned a BBB A+ rating along with hundreds of great reviews on Yelp, HomeAdvisor, Facebook and Angie’s List. Our superior service makes Estates Tree Service the best choice in San Diego. As a licensed and insured Tree care company we take the safety of your home seriously and with our low rates we will make your wallet happy. Whether you have overgrown trees leaning over your home, solar panels or pool, a fire, or safety hazard, Estates Tree Service will have the solution you need. Our highly trained staff has the knowledge and experience to care for any type of tree, fruit trees, palm trees, olive, ficus, eucalyptus, oak, pine and more. Call us at (760) 440-9138 for your Free Estimate anywhere in San Diego County including Pacific Beach, Jamul, Ramona, El Cajon, Santee, Lakeside, La Jolla, Mira Mesa, La Mesa or anywhere else in San Diego County.